I love the way this vibrant red makes this outfit pop out + we made this photos at the sunset and everything is more accentuated. I like wearing this shirt with almost everything: shorts, jeans, skirts and now red pants. Definitely a key piece. Great look,hon!The shirt is to die for! the stripe and the red pants go together really well! I love the bag that goes with it too, love everything about this outfit! Gorgeous look! It’s funny, I was going to wear something very similar for FNO in Athens! beautiful as always! 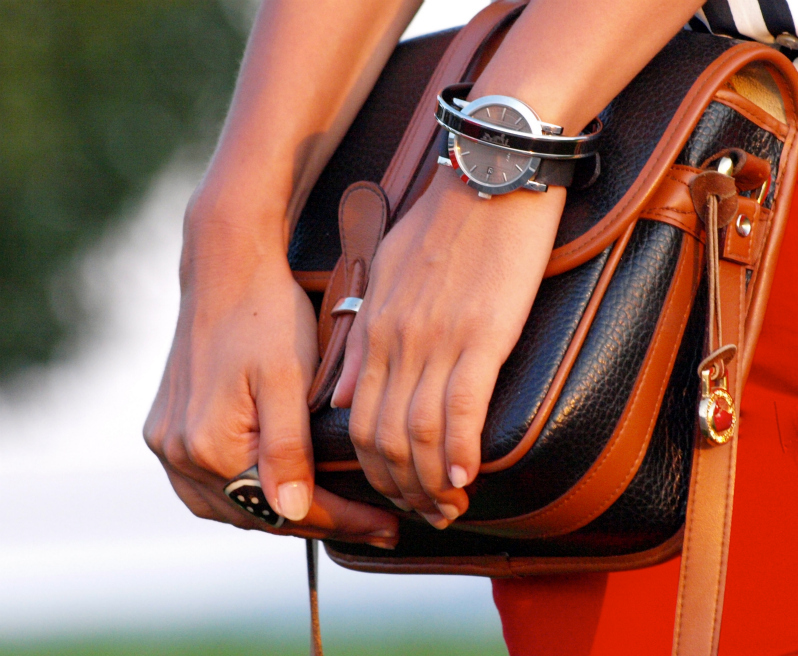 :) love the bag and the watch,the bracelet too, of course ;) and, truly, the shirt is gorgeous!!! @Jess i love too this combination! @Anonymus thank you very much for this comment ! Love your style!How tall are u? Hi Veronica! Loving your blog and outfits! thank you ladies and one gentlemen for your lovely comments! thank you Erena! you are very nice . That shirt it fantastic and I love your shades too :). Thank you for the birthday wish! Wao great combination! I really liked your shirt! I follow you, I like your style! Oh ! You have done a beautiful mix!!! 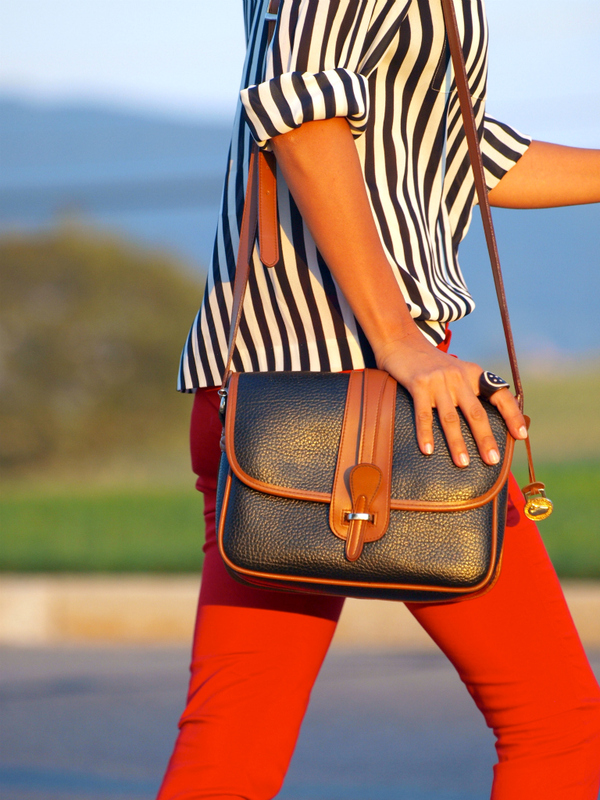 Stripes, red and animal print!!! You look great! Thank you for your comment!!! I went yesterday and bought socks, I plan to try the look when it gets a little cooler in Greece! Never done it before either! Hope to see you again soon !!! Have a wonderful day! Great great look my love!!! I love the color of your pants. It’s red/orange like. And your sunglasses are really nice. I don’t like the shoes, but it matches the whole outfit! Cool!! I love this combination! Red pants are great for you! thank you so much for your vote! means alot! adorable combination! :) great style. Stripes and leo- wowowowowowhoooo u made it girl, u rock this combo!!!!!! :))))) Precious!! This outfit is amazing. I love EVERYTHING about it. Multumesc Giulia! te pup si eu si sa ai o zi frumoasa! Thank you ladies for all those nice comments! I explored your blog a bit and I love it! Wow! I love your shirt. Nice outfit! Love the stripes with the leopard flats! Love the contrast between blouse,red pants and leopard flats!Great casual outfit,babe! Love the warmness of your photos! Your outfit is, as always, impeccable. Lovely outfit, love the combination of black and white stripes with red, and the final leopard touch on your shoes are perfect! Dying over this outfit combo. This shirt with these pants is HOT. thank you Bonnie! and thank you all ! Wow I love those red pants paired with the striped blouse. The leopard print shoes are so cute with this outfit. Lovely lighting in your pictures too! I’m a fan! Love the look. Red with black and white is one of my favorite combinations! wish you a wonderful day, sweetie! stripes with leopard patterns is one of my favorites “print mixes” this year! it looks great sweetie! Thank you Vanja !!!! it is one of my favorite too and i have one more ( polka dots with leopard) hope I will make one post with this mix ! Amazing outfit – love the red pants and that shirt – wow. love that shirt so much sweetie! you look great as always and this ouftit is just perfect. And your Hermes bracelet is so chic. haha without even reading what you were wearing I was like ‘ She looks like a model out of a Ralph Lauren Campaign’ LOVE IT! Nic eblog girl WOW! Just found it and honestly great styles!! Where are you from? And do you model? @ Julieta I am happy you like this one ! I appreciate your comment. Hi, I loved your blog! Could you follow me, please? wow that’s so pretty ! this is wayyyy too gorgeous! oooops i forgot… i’m a new follower!